Euphrates and Tigris – the two famous rivers of the Ancient Mesopotamia “have seen the rise of ancient civilizations and the early development of irrigation practices dating back to the Sumerian and Akkadian periods (4000-5000 BC),” as noted by Marwa Daoudy. Their political, environmental, cultural and economic importance remains clear to any historian of the region. Access to water in the Middle East has a significant bearing upon the regional balance of power and inter-state relations. Thomas Homer-Dixon has observed that water can “breed conflict” in cases of depletion and degradation, increased demand and uneven distribution. As a result, the control of regional water resources has been a continual source of tension between Turkey, Iraq and Syria, and may likely pose even greater problems in the near future. The Rivers Tigris and Euphrates flow downstream from Turkey into Syria and Iraq, where they provide the principal water source for individual and community livelihoods. Given the importance of these resources, there has been a history of disputes over the construction of dams and other water regulation efforts. “The controversy over the sharing of the mighty rivers at the root of Iraq's ancient name of Mesopotamia – meaning "between the rivers" in Greek – is almost as old as the country itself.” These regional interstate hydro-political dynamics are bound to affect the Kurdish population extensively, as the Iraqi Kurdistan plays a pivotal role in controlling the majority of the Tigris river flow into Iraq. Moreover, the geo-politics of water in the Euphrates-Tigris basin are bound to remain highly contentious due to their direct link to issues of the Kurdish national independence and sovereignty, their cultural and historic heritage, as well as the interstate relations, and human rights in all the riparian states. The Euphrates River originates in the mountains of Northeast Turkey, where several tributaries rise before merging near Keban to form the Euphrates River itself. After Keban, the river flows south, crossing into Syria at Jarablus. Within Syria, it is joined by the Sajur and Balikh rivers before entering Iraq at Al’Qa’em. It finally joins the Tigris in the south of Iraq to form the Shatt Al-Arab River, which drains into the Arabian Gulf near Al-Faw. There is dispute over the length of the Euphrates and how much of it falls in each of the three co-riparian countries. The most recent figures are from the Government of Iraq, which put the length at 2,940 kilometres (km), with 40% in Turkey, 20.5% in Syria and 39.5% in Iraq. Although more than two thirds of the drainage area lies outside Turkey, 93% of the water in the river originates in Turkey – although some put the percentage at 88% and others at 98%. The drainage area of the Euphrates is widely accepted as 444,000 square kilometres (km2). However, as with the length of the river flowing through each country, the share of each state in the basin is hotly disputed. Some authorities put the Turkish share at 28%, with Syria at 17%, Iraq 40% and Saudi Arabia 15%. Others apportion the relative shares according to the length of the river in each country (see above). Like the Euphrates, the Tigris (1,840 km) also flows through Turkey, Syria and Iraq. In Turkey, the Tigris flows through the southeast for about 400 km, forms the border with Syria for 40 km, and flows downstream to Iraq. As with the Euphrates, there is controversy over the river’s length, its drainage area and each country’s share of the river. Iraqi government figures put the drainage area at 235,000 km2, of which 105,750 km2 (45%) is in Iraq. Figures produced by geographer Hillel put Iraq’s share of the basin at 78%, Turkey’s share at 20% and Syria’s at 2%. The river’s flow is characterized by a high annual and seasonal variability. The annual mean flow is 520 m3/s at the border between Turkey and Syria (16.2 billion m3). The lowest flow was 9.6 billion m3 in 1973, and the highest was 34.3 billion m3 in 1969. Mean flow in April is 1433 m3/s, while the driest month September is 113 m3/s. Downstream, at Baghdad, the average flow is 1236 m3/s. In 1985, former secretary-general of the UN Boutros Boutros-Ghali stated, “The next war in the Middle East will be fought over water, not politics”. Whilst this prediction has not proved to be accurate, the control of water resources in the region remains to be a highly significant political tool. History of the region is also replete with water controversies and therefore, it is often perceived to be an issue considerable enough to be discussed by the theorists of international relations of the Middle East. In fact, it appears that the treatment of hydro-politics proves to epitomise the apparent distinctiveness of realist and liberalist understanding of the motifs and actions of political actors in the international arena. Water politics appear to have a significant bearing for the realists in their understanding of the inter-state dynamics in the region. Given the fact that national security constitutes the primary agenda of the state actors, their power and capacity (including the economic, military and political resources) play a pivotal role in the dynamics of their relations with other nation-states of the region. This appears to explain why “during the 1980s and the early 1990s the spectre of armed conflict over water was agued as the logical outcome of the resource scarcity.” Moreover, it has been argued that the issues of water constituted one of the principle causes of the 1967 that Arab-Israeli Conflict. Bulloch and Darwish claim the war was “caused largely by competition for the waters of the River Jordan.” As the water scarcity becomes currently even more exacerbated by various water development projects, such as the GAP in the south-east of Turkey, the realists consider water to become “a highly symbolic, contagious, aggregated, intense, salient, complicated zero-sum power and prestige-packed crisis issue, and highly prone to conflict and thus extremely difficult to resolve.” These concerns embody the widely circulated slogans of ‘water wars’ looming over the future of the already highly unstable Middle East. Ismail Serageldin, World Bank Vice-President, appears to reiterate Boutros-Ghali’s fears in his statement in 1995, where he suggests that “many of the wars of this century were about oil … wars of the next century will be over water.” Although these predictions may seem somewhat farfetched, they apparently indicate the significance of water in these highly arid desert lands of the Middle East. Water undersupply is certainly “an underlying security factor” that requires constant reckoning by the Middle-Eastern policy makers, however it remains largely unclear why it is believed to be more likely to cause warfare than “act as a catalyst for negotiations.” In the vast majority of the ‘liberal functionalist’ arguments, which question the accuracy of the realist approach, water remains to carry significant implications for the inter-state relations. However, according to liberalists the hydro-political controversies have a clear potential to promote co-operation between the state actors, rather than instigate international hostilities and military conflicts. Jan Selby affirms, “According to such ‘liberal functionalist’ arguments, functional co-operation between states over ‘low-political issues’ like water can foster greater understanding, trust and in turn co-operation over ‘high-political’ areas of policy making.” Although, it remains indisputable that water has led to some more or less serious international disputes, Wolf reminds us that “no war has even been fought over water” and that it more often serves as a “platform for co-operation in the region”. The above cited example of the 1967 Arab-Israeli Conflict and the function of water-politics in instigating the military actions have often been largely misinterpreted and formed a typical political rhetoric diverting the public attention from the more important causes, i.e. the land issue and the Israeli appropriation of Palestinian territories. The Tigris-Euphrates basin, populated largely by the Kurds in all three riparian countries of Turkey, Syria and Iraq, has often been cited as the second most hydro-politically important region in the Middle East. The recognition of its significance for security of the region remains divided along the previously indicated lines of argument. Star, Postel, Bulloch and Darwish, Joffe, Hillel, and Barham, all claim that this security flash point is more than likely to generate a water-related military conflict between any of the three riparian countries. Other scholars like Gleick, Kolars and Mitchell remain unconvinced by the previous arguments and promote a much more optimistic scenario, where water issues will even lead to “a Pax Aquarum in this part of the Middle East.” Nonetheless, there is an evident history of some more or less significant water disputes in the Tigris-Euphrates basin, which will be now discussed. Iraq, the last downstream state on the rivers, was the first to develop dams on the Euphrates, constructing the Hindiya barrage in 1914, and a second barrage at al-Ramadi in the 1950s. This decade also witnessed the initiation of several water development projects undertaken by Turkey and Syria, and tensions amongst the three states soon started to escalate. Turkey, Syria and Iraq have so far been unable to agree on a definition of the river system that they share. Turkey refers to the Tigris and Euphrates as a ‘transboundary water system’, and given Turkey’s upstream status, it claims sovereign rights over the rivers. Its geographic positing undoubtedly reaffirms Turkey’s position of power in this respect. However, Syria and Iraq both define the Tigris and Euphrates as ‘international waters’, thus guaranteeing all three riparian states an equal share. Given this ambiguity, there have been major disputes over ownership of water resources, access to an adequate supply, and the detrimental effects of water development. The history of these tripartite interstate relations is replete with tension and the possible looming crises. 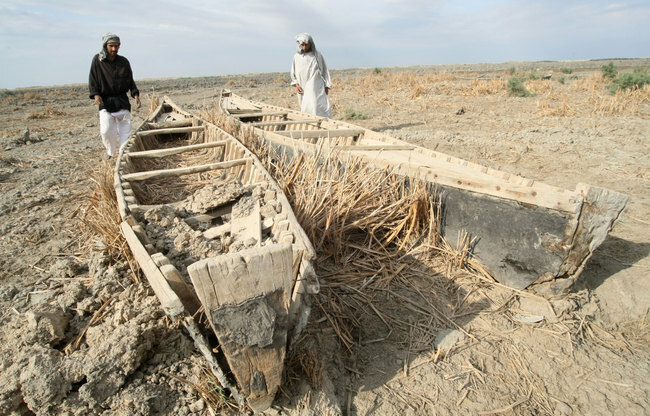 Southern Iraq suffers severe water scarcity, 2010. The Turkish-Syrian relations have been somewhat strained for decades now. Turkey’s political and security alignment with the West and its participation in the NATO structures has only further complicated the situation. The presence of the continuously unresolved border dispute over the historically Syrian town of Alexandretta (later renamed Iskenderun by the Turks), which France gave to Turkey (then the League of Nations mandate territory) in 1938, perfectly explicates the ongoing contentious state of affairs between the two countries. Their riparian status and their share in the Euphrates basin further affect the relations between these two countries. Despite the bilateral agreements regulating the flow of the Euphrates and its volumetric allocations reached in 1987, Turkey proceeded to drastic cut in the river flow in the early 1990s in order to fill up the Atatürk Dam. This incident brought the two countries on the verge of war. Furthermore, Syrian longstanding support for the Kurdish Workers Party (PKK) and the Kurdish society populating the Syria-Turkey border “is perhaps the greatest point of contention between the two countries.” Turkey has openly used the control of the downstream flow as a threat against Syria for their support of the Kurds, and is keen to destabilise any increase in Kurdish influence in the region, particularly in the Kurdish Regional Government area of Iraq. Control of water is an incredibly effective way to achieve this. Turkey, in particular, has become known for its aggressive water policies, and used its dam structure to block downstream flow from the Euphrates for 9 days in 1989. This action was linked to the deteriorating political relationship between Turkey and Iraq in the aftermath of the Iran-Iraq war. Moreover, Turkey supported the coalition forces during the first Gulf War, which resulted in a further decline in relations with Iraq, and the severance of diplomatic ties between the two states. In 1991, Turkey completed the construction of the ‘Atatürk’ dam located on the Euphrates River, as part of its ‘Southeast Anatolia Project’ (GAP), which has been labelled by critics as a form of ‘water imperialism’. In response, Iraq united with Syria in opposition to the dam, which they claimed was adversely affecting their downstream water supply. Since the opening of the dam, relations between Turkey, Syria and Iraq have been notably tense. Syrian hydro-politics and their project of constructing the Tabqa High Dam, later renamed al-Thawrah (‘The Revolution’), on the Euphrates in 1966 led to a considerable diplomatic crisis with Iraq, which threatened military action against Syria in 1974 and in 1975. Both countries started effectively mobilising their troops and moving them to the border. It was only after subsequent mediations by the Soviet Union and Saudi Arabia that the military crisis was avoided and Syria conceded to release more water from the dam. Thus it can be inferred that the manipulation of water resources has already been used as a direct political weapon in the Middle East, and access to water can be a significant factor in escalating political tensions in the region. Yet it is Turkey’s GAP development scheme in particular that is of great concern to the Kurdish population of northern Iraq in the 21st century, and the remainder of this chapter will analyse its impact in greater detail. The Southeast Anatolia Project (known as GAP after its Turkish name 'Güneydoğu Anadolu Projesi') was initially launched in 1977. Over a decade later, on November 6, 1989 the Law Decree no. 388 announced the creation of the Southeastern Anatolia Regional Development Administration with the GAP Higher Board as its highest decision making body, which is mainly responsible for ensuring the progress and further development of the initiative. It is the largest development project in the modern Turkish history and one of the largest hydroelectric projects worldwide, costing $32 billion. Its construction intends to harness Turkey’s water potential by constructing at least 21 dams and 19 hydro-electric power plants (HEPP) that will regulate 28 per cent of Turkey’s total hydro capacity. The Project covers a total area of 74,000 square kilometres, in nine Kurdish-dominated provinces of southern Turkey (Adiyaman, Batman, Diyarbakir, Gaziantep, Kilis, Siirt, Sanliurfa, Mardin and Sirnak) located in the basins of the rivers Euphrates and Tigris. The two professed goals of the GAP project are harvesting energy and creating more irrigated farmland. In addition to generating 27 billion kilowatt hours of electricity annually, the dams would be used to irrigate 1.7 million hectares of land in the Harran Valley (9.7% of Turkey’s total surface), in order to grow crops and encourage the growth of agro-industries, such as food processing for export. GAP is also expected to increase the Turkish areas under irrigation by around 40 per cent. This project is believed to have a considerable positive impact on the local employment rates, as 3.8 million jobs will be created and the per capita income is expected to grow by 209 per cent, thus substantially raising the standards of living. It has also been claimed that Turkey’s hydro-development projects aim at counterbalancing a significant lack of national oil resources and bringing political and economic stability to the most under-developed of the Turkish regions – the South-East Anatolia. Despite its professed economic goals many perceive the GAP project as part of Turkey’s political agenda to solve the Kurdish question and effectively eliminate the Kurdish culture and eventually assimilate the Turkish Kurds into the mainstream society. KHRP believes that the main driving force behind the GAP is neither economic nor social development. On the contrary, it considers the project to be driven by the security establishment’s misguided beliefs that this project will weaken Kurdish identity in Turkey and will potentially allow for a military victory in the ongoing armed conflict in the Kurdish region. Far from “enhancing the level of welfare, peace and happiness of our citizens living in the region” as claimed in the action plan launched in May 2008, this project in its current state will in fact be detrimental and increase instability not only domestically but in the region as a whole. Yet, as with previous water development projects in the region, the impact of GAP transcends Turkey’s national borders and bears some important environmental, political and cultural consequences for the Iraqi Kurdistan and the whole of Iraq in general. The extent of these, however, remains contested. 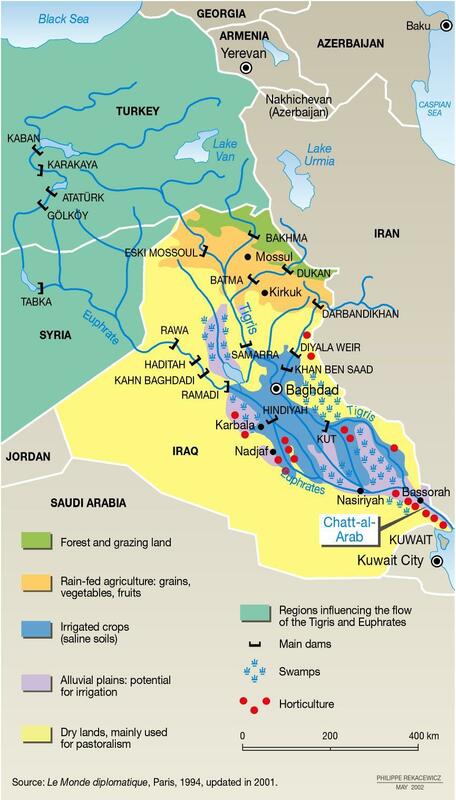 It is often argued that GAP (mostly its Euphrates branch) has extreme implications for the water security, economy and the environment of Iraq. The Iraqi share of water resources has been drastically cut in the past couple of years and this situation largely contributes to the emergence of the recent droughts in Iraq. Should the Turkey’s GAP projects be become fully materialised the flow of the Euphrates River to Iraq will be reduced by up to 80 per cent. Nonetheless, the Turkish Ministry of Foreign Affairs affirms “there is no tension between Turkey and Iraq on the water issue”. It is however, the issue of international consultation that remains largely contentious. Tripartite meetings are held on a fairly continuous basis, however the importance of any agreements reached is often contested by all the riparian states involved: Turkey, Syria and Iraq. In 2007 Turkey claimed to have reached a legitimate agreement regarding the GAP project. This was shortly refuted by both Syria and Iraq, who unanimously state that the only agreement reached was over the scope of future talks and cooperation, denying that it has given approval to any of the Turkey’s hydroelectric plans. On the other hand, neither Syria nor Iraq decline Turkey their legitimate right to development but rightly demand effective consultation process to be followed, as required by international laws and conventions. Nonetheless, although the water problems around the construction of the GAP project are widely recognised by the Kurdish Regional Government (KRG) and the Iraqi central government, they do not seem to have been sufficient enough to distort the economic and political relationship between the two countries. Although, issues related to hydropolitics are constantly discussed by the relevant ministers, neither the KRG nor the authorities in Baghdad treat is as a matter of national priority and therefore, the issue becomes sometimes sidelined. Creation of the Ilisu Dam would flood 200 communities and create a 400 km lake from the Tigris and her tributaries. Recently, there has been further engagement of two main Turkish banks – AKBANK and Garantibank, which decided to pledge financial support for the dam’s construction along the Tigris River and sign a contract with the Turkish Government and the Ilisu Consortium for the finance of the Ilisu Dam and Hydroelectric Power Plant Project. This move led to considerable protest from the humanitarian organisations and the Kurdish diaspora in Europe. There has been a number of protests in Amsterdam, Frankfurt, Essen, Hannover and London, the latter was largely organised by the KHRP. During this demonstration in London a letter of protest undersigned by KHRP, The Corner House, Bilgi Yildiz (a local MP for Batman, Turkey) and Jean Lambert MEP was handed to the AKBANK representative. The bank however, rejected to accept this letter. The above-mentioned protest was only one of several different projects through which KHRP aims to oppose the construction of the Ilisu Dam. A number of fact-finding missions have been conducted in both Turkey and Iraq. These missions were a joint project with a number or other humanitarian NGOs that KHRP cooperates with in a common mission to oppose the construction of the Ilisu Dam. I will now turn to discuss some of the findings of those missions and the potential humanitarian and environmental impact the Ilisu Dam in particular, and the GAP in general may have on the Kurdish population in Iraq. Some researches however, argue that political sidelining of the Ilisu Dam project by both the KRG and the central government in Baghdad, mentioned above, could be perhaps supported by some geographical data. Cason argues, “compared to the potentially negative impact the GAP plan poses to water flow along the Euphrates and both downstream riparians, the plan poses less impact to the Tigris River and Iraq, in that a large portion of the river’s water source enters the river from Iranian territorial streams in the Zagros Mountains and only 38 percent of the annual mainstream flow enters from Turkey.” This estimation however, clearly conflicts with the information provided by Asit K. Biswas, who claims that 51.8 percent of the mainstream originates in Turkey and 49.2 percent comes from the Iraqi tributaries. The construction of the Ilisu Dam would lead to the submergence of numerous archaeological sites that have significance not only for the local Kurds but also for many Muslims, Orthodox Christians and arguably the humanity as a whole. The historical significance of Hasankeyf owes much to the fact that the famous Silk Road “originally crossed the river Tigris precisely at this point and the remains of a 12th century bridge can still be seen at Hasankeyf.” The city is believed to be the seat of an Orthodox bishopric during the Byzantine Empire, as well as several pre-Ottoman medieval dynasties of the Artukids and Ayyubids. 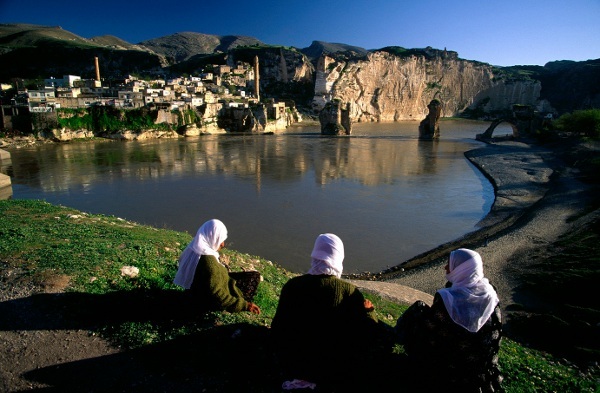 The Artukid sultanate’s capital is believed to have alternated between Hasankeyf and Diyarbakir. Moreover, the town has been the site of regular pilgrimage by a considerable numbers of Muslims that visit the tomb of Imam Abdullah. The cave churches, ornate mosques and Islamic tombs create an astounding complexity of architectural and religious heritage spanning several civilisations, from the Byzantinees and Sassanides through the Omayyads, Abbasides, Hamdanides, Mervanides and Artuks to the Eyyubians and mosr recently Ottomans. Notwithstanding the cultural significance of the potential flooding of the area, the completion of the Ilisu Dam project would also lead to a direct contravention of the 1992 European Convention on the Protection of Architectural Heritage that the Turkish Government has already ratified during their ongoing EU accession process. The city of Hasankeyf clearly meets the criteria described in the Article 1 of the Convention which understands the monuments of the National Cultural Heritage to be “architectural works, works of monumental sculpture and painting, elements or structures of an archaeological nature, inscriptions, cave dwellings and combinations of features, which are of outstanding universal value from the point of view of history, art or science.” Although, Hasankeyf is currently located within the boundaries of the Republic of Turkey, its preservation is invaluable to the whole Kurdish community in Turkey, Iraq and elsewhere. The destruction of Hasankeyf would constitute a very significant intervention against the whole of the Kurdish cultural heritage, thus, potentially, negatively affecting the future notions of national distinctiveness of the Kurds. The Kurds interpret the Ilisu project as part of a continuing strategy of controlling or even eradicating Kurdish people by displacing them, dislocating their communities and destroying their cultural heritage. With regards to past water development projects, Turkish officials have openly admitted that the disruption of Kurdish militia operations has been a motivating factor in the construction of its dams. More specifically, the Ilisu Dam reservoir will aim to disrupt the mobilisation of the PKK in northern Iraq. The downstream impact of the GAP project directly concerns the long-term environmental future of Kurdistan and Iraq. The Tigris River flows directly from Turkey into northern Iraq, and the completed Ilisu Dam would have a detrimental effect upon both the quantity and quality of water flowing into the region. The average annual streamflow of the Tigris is 15 billion metres cubed (m3), yet the Ilisu Dam is estimated to have a normal reservoir capacity of 7.46 billion m3, meaning that the dam has the potential to absorb half of the annual streamflow. It has been estimated that the average flow at he Iraqi borders after development on the Tigris River would reach as low as 9.16 milliards cubic metre per year, comparing to 20.9 milliards cubic metre per year prior to development. Similarly the flow on the Euphrates is estimated to reach 8.48 milliards cubic metre per year after development, compared to the initial 30.3 milliards cubic meter per year. Furthermore the salination levels would increase by approximately 33 per cent on the Tigris River and approximately 64 per cent on the Euphrates River. The hydropolitics of the region remain a highly contentious, yet crucial aspect of the future of Iraq and the Iraqi Kurdistan. This research introduced only some of the issues related to the geopolitics of the region and does not claim to be a finite account of the situation. Moreover, this research appears to have a fundamental importance for the future of the activities of the Kurdish Human Rights Project, as it provides an updated exposition of one of the issues the KHRP is greatly involved in, namely the prevention of both the human loss and various other Human Rights violations that are caused by the advancement of the hydro-electrical projects in the region. M.A.S. Abdel Haleem, trans., The Qur'an, trans. M.A.S. Abdel Haleem (Oxford: Oxford University Press, 2008): 204. Marwa Daoudy, “A Framework for Negotiation in Power Asymmetry: Syria and Turkey's Negotiations over Euphrates and Tigris Waters,” in Annual Meeting of the ISA's 49th Annual Convention, Bridging Multiple Divides (San Francisco: International Studies Association, 26th March 2008), http://www.allacademic.com/meta/p252694_index.html, (last accessed: 8th Feb 2010): 1. Materials and footnotes under this heading are taken from KHRP (2002), Downstream Impacts of Turkish Dam Construction on Syria and Iraq: 13-14. Dolatyar, M. and Gray, T.S., Water Politics in the Middle East: A Context for Conflict or Co-Operation?, Macmillan Press, Basingstoke, 2000: 121. Cited in Philip Williams and Associates (PWA), A Review of the Hydrological and Geomorphic Impacts of the Proposed Ilisu Dam, Report for the Corner House, San Francisco, July 2001. Geoffrey Lean and Mark Rowe, “Blair's Support for Dam May Speed World's First Water War,” http://www.independent.co.uk/news/blairs-support-for-dam-may-speed-worlds-first-water-war-1131926.html, 12 December 1999, The Independent (accessed February 09, 2010). Aysegül Kibaroglu, Building a Regime for the Eaters of the Euphrates-Tigris Basin (The Hague: Kluwer Law International, 2002): 17. John Bulloch and Adel Darwish, Water Wars: Coming Conflicts in the Middle East (London: Victor Gollancz, 1993): 34. T Naff, Testimony on the Jordan Before the Committee on Foreign Affairs, (Washington D.C.: US House of Representatives, 26 June 1990). John Bulloch and Adel Darwish, Water Wars: Coming Conflicts in the Middle East (London: Victor Gollancz, 1993). Alison Maitland, “The Politics: A Matter of Supply Rather than Shortage,” FT.com Financial Times, 21 March 2007, http://www.ft.com/cms/s/0/f647c2c8-d3c1-11db-8889-000b5df10621.html?nclick_check=1, (accessed February 09, 2010). Thomas Naff, “Conflict and Water Use in the Middle East,” in Water in the Arab World: Perspectives and Prognosis, ed. Peter Rogers and Peter Lydon (Boston: Harvard University Press, 1994): 258. Jan Selby, “The Geopolitics of Water in the Middle East: Fantasies and Realities,” Third World Quarterly (Taylor & Francis, Ltd.) 26, no. 2 (2005): 330. Aaron T. Wolf, “Conflict and Co-operation along International Waterways,” in Paper presented at the ADC Millennium meeting on 'International Water Management in the 21st Century (Valencia, 18-20 December 1997): 1; Mostafa Dolatyar and Tim S. Gray, “The Politics of Water Scarcity in the Middle East,” Environmental Politics (Frank Cass) 9, no. 3 (Autumn 2000): 84. 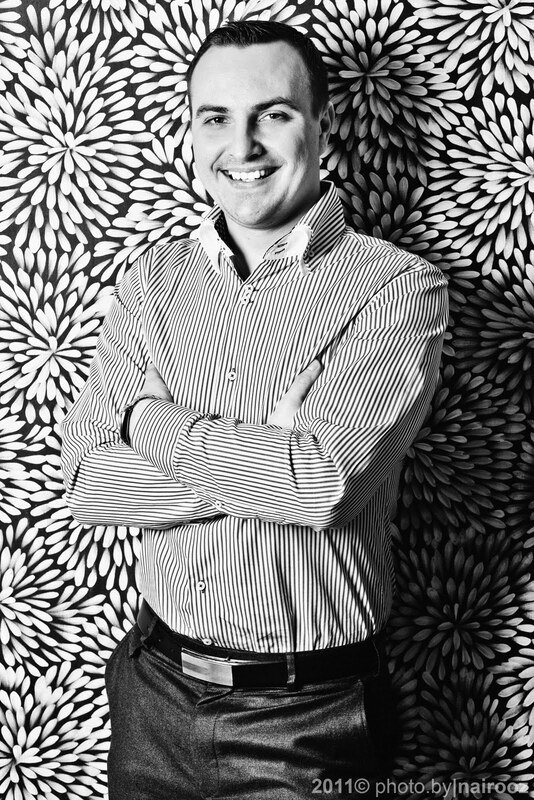 Murad A. Shaheen, “The Influence of the Water Disputes in the Middle East,” Ph.D. Thesis, Keele University, (1997), (British Library – Thesis Number DX202631): 209-210, 237; cited in: Mostafa Dolatyar and Tim S. Gray, “The Politics of Water Scarcity in the Middle East,” Environmental Politics (Frank Cass) 9, no. 3 (Autumn 2000): 66. Peter M. Gleick, “Water, War and Peace in the Middle East,” Environment, 1994: 6; John F. Kolars and William A. Mitchell, The Euphrates River and the South Anatolia Development Project (Carbondale: Southern Illinois University Press, 1991): 297. J. A. Allan, The Middle East Water Question: Hydropolitics anf the Global Economy (London: I. B. Taurus, 2000): 72. Ali Çarkoğlu and Mine Eder, “Domestic Concerns and the Water Conflict over the Euphrates - Tigris River Basin,” Middle Eastern Studies 37, no. 1 (2001): 19. Marwa Daoudy, “A Framework for Negotiation in Power Asymmetry: Syria and Turkey's Negotiations over Euphrates and Tigris Waters,” in Annual Meeting of the ISA's 49th Annual Convention, Bridging Multiple Divides (San Francisco: International Studies Association, 26th March 2008), http://www.allacademic.com/meta/p252694_index.html, [last accessed: 8th Feb 2010]. Laurie A Cason, The Euphrates-Tigris Basin and the Southeastern Anatolia Project: Is Armed Conflict in the Offing? (Carlisle Barracks: U.S. Army War College, 2001): 2. The Ilisu Dam Campaign; Kurdish Human Rights Project; The Corner House; World Economy; Ecology and Development; Eye on SACE Campaign; Pacific Environment Research Center;, “"If the River Were a Pen...": The Ilisu Dam, the World Commission on Dams and Export Credit Reform,” The Final Report of the Fact-Finding Mission to the Ilisu Dam Region 9-16 October 2000 (London, 2000): 34-35. Ali Çarkoğlu and Mine Eder, “Domestic Concerns and the Water Conflict over the Euphrates - Tigris River Basin,” Middle Eastern Studies 37, no. 1 (2001): 18 and 21. Kerim Yildiz, The Kurds in Syria: The Forgotten People (London and Ann Arbor: Pluto Press in Association with Kurdish Human Rights Project, 2005): 67. Government of the Republic of Turkey, “History of Southeastern Anatolia Project,” Southeastern Anatolia Project Regional Development Administration, 31 March 2006, http://www.gap.gov.tr/English/Ggbilgi/gtarihce.html (accessed March 9, 2010). Embassy of the Republic of Turkey, Washington DC, http://www.turkey.org/ Cited in: Sahan, E., Mason, S., Gilli, A., Zogg, A., ‘Southeast Anatolia Project in Turkey – GAP’, Swiss Federal Institute of Technology Zürich, 2000, 1. KHRP Briefing Paper, The Ilisu Dam Project: An Update, (KHRP, London, 23 December 2009): 8. So far, 14 dams and 9 hydroelectric power plants have already been built. Ercan Ayboga, “Report about the impacts of the Southeastern Anatolia Project (GAP) and the Ilisu Dam on the downstream countries of Iraq and Syria,” Initiative to Keep Hasankeyf Alive; (19 August 2009), 4. The figure of 27 billion kilowatt hours takes no account of water for irrigation. Once this is taken into account, the figure would be reduced. See: Olcay Unver, ‘The Southeastern Anatolia Project (GAP): An Overview’, in Turkish Embassy, Water and Development in Southeastern Anatolia: Essays on Ilisu Dam and GAP, London, 2000: 15-16. Southeastern Anatolia Regional Development Administration http://www.gap.gov.tr. Cited in: Sahan, E., Mason, S., Gilli, A., Zogg, A., ‘Southeast Anatolia Project in Turkey – GAP’, Swiss Federal Institute of Technology Zürich, 2000: 1. This paragraph is taken from KHRP Briefing Paper, The Ilisu Dam Project: An Update, (KHRP, London, 23 December 2009): 8. This position appears to be further supported by the UK Defence Forum that noted: “from the outset, the Southeast Anatolia project has had profound security implications” and that “it is no coincidence that the project is situated in the Kurdish region of Turkey.” See, Marsh, N., “Wars Downstream,” UK Defence Forum, http://www.ukdf.org.uk/ts5.htm. These impacts will be further discussed later in this chapter. The water flow on the Euphrates river is currently much below the levels previously established in a bilateral agreement between Turkey and Iraq. As of June 2009 only 230 cubic meters per second (instead of 360 cubic meters per second) enter the Iraqi territory. Peter M. Gleick, “Water and Conflict: Fresh Water Resources and International Security,” International Security 18, Summer 1993: 89. Rose Foran, “Iraqi Minister Blames Turkey for Drought,” The Medialine, 16 June 2009, http://www.themedialine.org. See ‘Ilisu Dam Downstream Water Impacts and Iraq: Report of the Fact Finding Mission to Iraq’, The Corner House and Kurdish Human Rights Project, London, 29 March 2007. Manfred-Hermsen-Stiftung;, Save Hasankeyf - Stop Ilisu!, http://www.m-h-s.org/ilisu/front_content.php?client=58&changelang=88parent=&subid=&idcat=113 (accessed 03 16, 2010). Laurie A Cason, The Euphrates-Tigris Basin and the Southeastern Anatolia Project: Is Armed Conflict in the Offing? (Carlisle Barracks: U.S. Army War College, 2001): 2-3. Cason bases his argument on the following source: Yahia Bakour and William A Mitchell, “The Arab Mashrek: Hydrologic History, Problems and Perspectives,” in Water in the Arab World: Perspectives and Prognosis, ed. Peter Rogers and Peter Lydon (Boston: Harvard University Press, 1994): 56. Asit K Biswas, International Waters of the Middle East: From Euphrates-Tigris to Nile (Bombay and New York: Oxford University Press, 1994): 53. Anna Irvin, “The Human Rights Impact of Mass Displacement Caused by the Construction of the Ilisu Dam,” Speech delivered at El Faro civil society pavillion at the 'Water and Sustainability' themed Zaragoza Expo, Kurdish Human Rights Project (Zaragoza, 3 July 2008). KHRP Briefing Paper, The Ilisu Dam Project: An Update, (KHRP, London, 23 December 2009): 14. National University of Ireland, Galway; Kurdish Human Rights Project;, “The Cultural and Environmental Impact of Large Dams in Southeast Turkey,” Fact-Finding Mission Report (London, February 2005): 82. National University of Ireland, Galway; Kurdish Human Rights Project;, “The Cultural and Environmental Impact of Large Dams in Southeast Turkey,” Fact-Finding Mission Report (London, February 2005): 83. Kurdish Human Rights Project;, “The Ilisu Dam: A Human Right Disaster in the Making,” A Report on the Implications of the Ilisu Hydro-Electric Power Project, Batman Province, South-East Turkey, Following a Fact-Finding Mission to the Region (London, November 1999): 11. The Ilisu Dam Campaign; Kurdish Human Rights Project; The Corner House; World Economy; Ecology and Development; Eye on SACE Campaign; Pacific Environment Research Center;, “"If the River Were a Pen...": The Ilisu Dam, the World Commission on Dams and Export Credit Reform,” The Final Report of the Fact-Finding Mission to the Ilisu Dam Region 9-16 October 2000 (London, 2000): 76. Kurdish Human Rights Project; The Corner House; National University of Ireland, Galway; Ilisu Campaign;, “The Ilisu Dam: Displacement of Communities and Destruction of Culture,” (London, October 2002): 7. Kurdish Human Rights Project;, “Swiss Bank Back out of Ilisu Dam Project: KHRP Urges Remaining Funders to Follow,” KHRP Public Statement (London, 18 June 2007): 7. Peter Bosshard, “Ilisu - a Test Case of International Policy Coherence,” in The Ilisu Dam: A Human Rights Disaster in the Making, A Report on the Implications of the Ilisu Hydro-Electric Power Project, Batman Province, South-East Turkey, Following a Fact-Finding Mission to the Region (London, November 1999): Appendix 2, p. 2. Project, Kurdish Human Rights; House, The Corner; Ilisu Dam Campaign;, “Downstream Impacts of Turkish Dam Construction on Syria and Iraq,” Report of Fact-Finding Mission to Syria and Iraq (London, July 2002): Appendix 3, p. 9. ‘Ilisu Dam Downstream Water Impacts and Iraq: Report of the Fact Finding Mission to Iraq’, The Corner House and Kurdish Human Rights Project, London, 29 March 2007, p. 7. KHRP Briefing Paper, The Ilisu Dam Project: An Update, (KHRP, London, 23 December 2009): 10. Peter Bosshard, “Ilisu - a Test Case of International Policy Coherence,” in The Ilisu Dam: A Human Rights Disaster in the Making, A Report on the Implications of the Ilisu Hydro-Electric Power Project, Batman Province, South-East Turkey, Following a Fact-Finding Mission to the Region (London, November 1999): Appendix 2, p. 3. Frederick Michael Lorenz, “Strategic Water For Iraq: The Need For Planning and Action,” American University International Law Review 24, no. 2 (2008): 296.